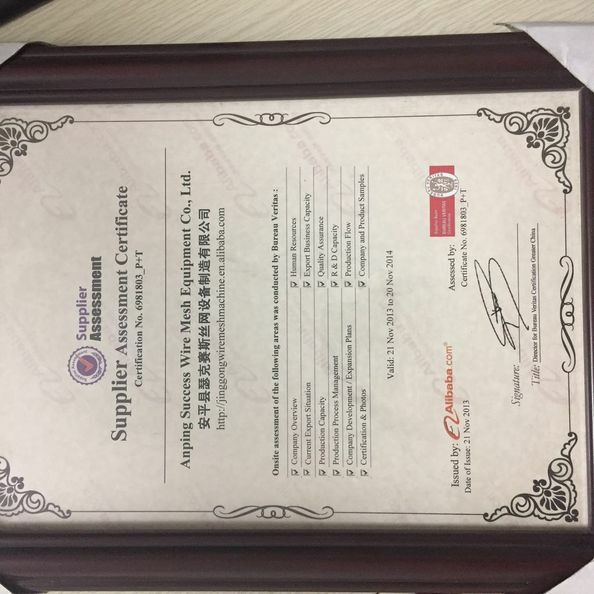 SUCCESS has a complete systerm that check the wire mesh machines quality.All our machines exacting specifications and systerm ISO 9044,ASTM E2016.Our people work with these as well as many other specifications everyday.We regularly comply with the quality demands of our customers. 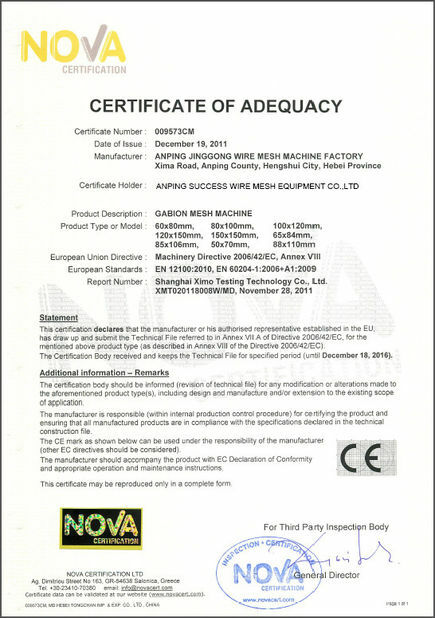 At every stage of their development and manufacturing they have to pass high quality standards this high standard quality guarentees the long-lasting and reliable operation of the machines. 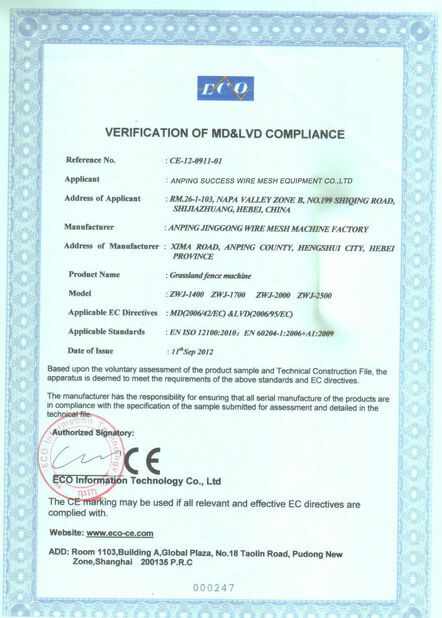 Our wide range of best quality products gives our customer the level of satisfaction thet want to smoothen their business operations & satisfied customers are the Back Bone of Global Equipment. By partnering with our customer’s we are able to help them solve key technological problems, often improving their product’s performance and competitiveness, reducing process costs and increasing finished product quality. Our years of experience in installing our products in a diversity of industries enable us borrow technology and apply it in new ways. As a result, we can offer innovative solutions, which are virtually, risk free, incorporating field-proven products and technologies. 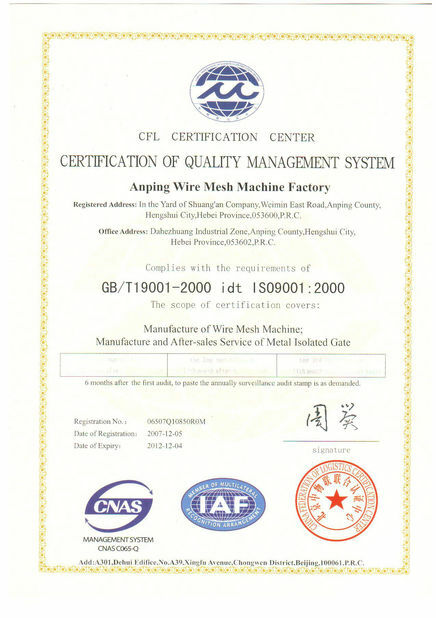 China Good Quality Wire Net Making Machine Supplier. Copyright © 2017 - 2019 wirenetmakingmachine.com. All Rights Reserved.